We Hack Too is a virtual hackathon by Microsoft, the B-Stem Project, and Kelly OCG. During these 48 hours, young girls and women create solutions that build and empower local and/or global communities, and then pitch ideas to industry professionals. My team and I won this competition with the creation and pitch for Sharon, a SMS messaging robot that allows users within the same zip code to discuss important topics in their community, such as politics, LGBTQ rights, and volunteering opportunities, in a safe and anonymous way. Sharon creates a space for the most needed community conversations. 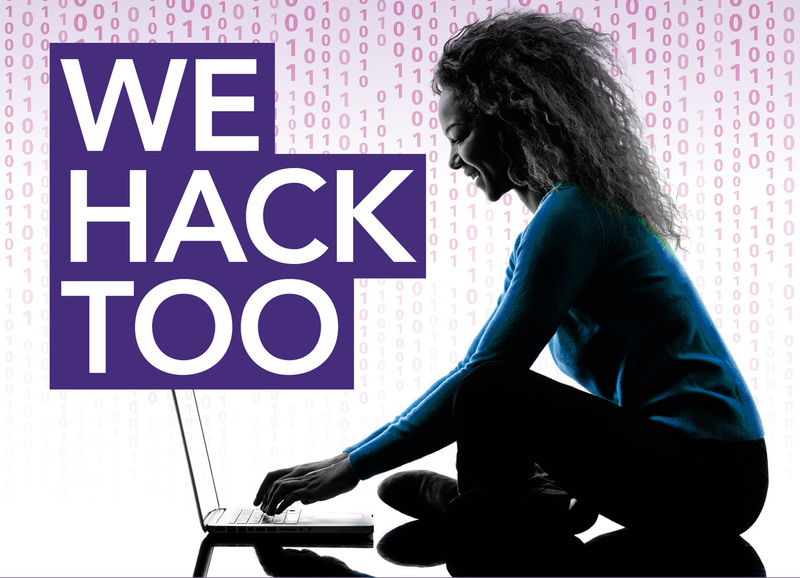 Below is a three-minute collection of lessons and insights I gained during the We Hack Too competition. Creating is a fully immersive endeavor. We cannot afford to be isolated between a computer screen and our product. Before I created each Pitch Dock slide- a business component included in the Hackathon- I would tangibly create each slide. To plan, I would use notebooks, index cards, and different colored pens, which is a technique I learned from Steal Like an Artist by Austin Kleon. This integrated approach translated into a more genuine and thought out end product. Plus, I felt like a messy Kindergartener again. I learned to think big, crazy ideas and then put forth big, crazy work to back up my ideas. Every step of the way, there were risks and hurdles that had to be overcome. Some were much bigger than others. In fact, I learned to shift my viewpoint to one that embraced change and risk. Also, Google became my new best friend. Schedule hour by hour, and then stick to schedule. This is an ingenious technique taught in Deep Work by Cal Newport. I would designate an amount of time for each task that needed to be completed, and then start on the most important task. Next, I would work solely on this task, minimizing all distractions. After my allotted time, I would move onto the next task. No matter what. This proved frustrating at times, but ultimately kept me on track and moving forward. I would also block time to finish any tasks I had been unable to finish during their initial time chunks. Also, I would adjust my time blocks as needed throughout the day. Schedule in time to walk. Implementing this idea seriously changed everything. By blocking time to walk, usually after 90 minute stretches of deep work, I was able to meditate and gain new insights and perspectives. The thoughts gained while walking proved to be serious game changers for the final product. , you will never start. The world is desperately in need of that book, app, or idea inside of you. Especially if you are a women or your influence has traditionally been limited in a certain sphere. These are your creative fingerprints; share them will the world. Start right now. Click here to see more We Hack Too final projects and pitches. To become involved with B-Stem Project, click here.